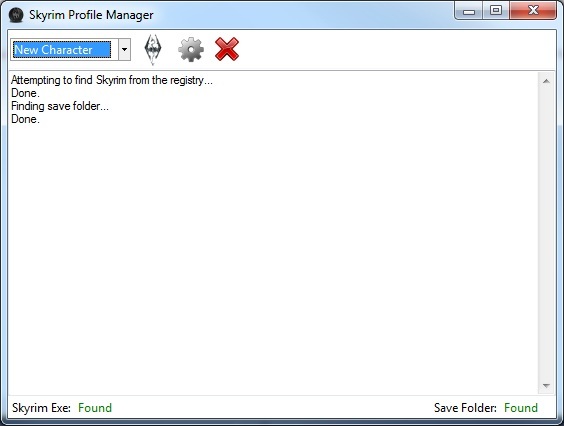 This is a simple launcher that manages individual save profiles. Skyrim natively doesn't organize your saves very well, this allows you to have multiple characters with multiple autosaves, etc. I just had the same thing... about 2 hours of skyrim gone with the wind. did you forget to tell us something about how this is supposed to be used? So I just lost 3 hours worth of progress after SAVING the game, and exiting. And having the save disappear completely. All autosaves gone too, is there some special way to exit the game with this program that isn't mentioned? Or should I just never use it ever again.